Incorporating the following meats, fish, grains, and herbs into one’s diet can not only promote mental well-being but support the healing of one’s mind. Anyone who has experienced depression or that of a loved one knows the search for any and all possible avenues of healing, including various medications, psychiatric care, and even exercise regimes. Yet because modern food processing has altered traditional nutrients, depression is increasingly linked to food allergies and the lack of certain fats and minerals in one’s diet. 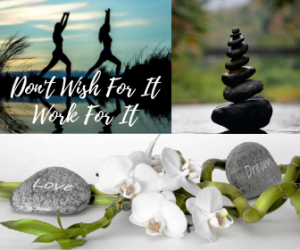 Consequently, carefully choosing of what goes into the body has never been more crucial when it comes to reclaiming a healthy, happy life after depression. Because two-thirds of the brain is made of fats, fatty acids are a necessary part of the human diet. Two, in particular, omega-3s and omega-6s, are absolutely vital. Sources of omega-6s happen to be abundant in modern diets, but omega-3s must be added more intentionally. Vegetarian sources of omega-3s include green leafy vegetables, flaxseed, pumpkin seeds, walnuts, and sea vegetables like algae. Not surprisingly, the best animal source is fish. 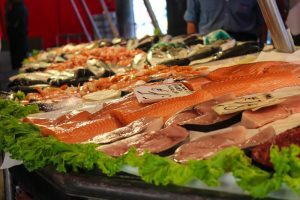 In her book Rebuild from Depression, Amanda Rose recommends salmon (the “wilder” the better), sardines, anchovies, herring, oysters, clams, and fish oil as excellent sources of omega-3s. Rose’s blog is a wealth of information and even free family recipes for cooking delicious mood-lifting meals. Amino acids are the components that make proteins. The human body creates many of its own amino acids, except for nine amino acids that must be obtained through the diet. Depression can be linked to deficiencies in these nine. Foods which contain all nine amino acids are the solution, and these are called “complete proteins.” Among the richest complete proteins are animal products like beef, poultry, fish, dairy and grains like soy, oats, amaranth, and quinoa. Vitamin B6, B12, and folic acid or B9 support the nervous system and deficiencies in these areas can lead to depression. Dr Andrew Weil profiles these important vitamins on his site, which offers a free vitamin advisor. B6 is prevalent in food, including spinach, carrots, bananas, cereals, beans, dairy products, and potatoes. Weil warns not that recommend maximums are 100mg a day, as too much B6 can be dangerous. However, there is no danger when it comes to B12, which is found only in animal products, including dairy, meat, fish, and shellfish. 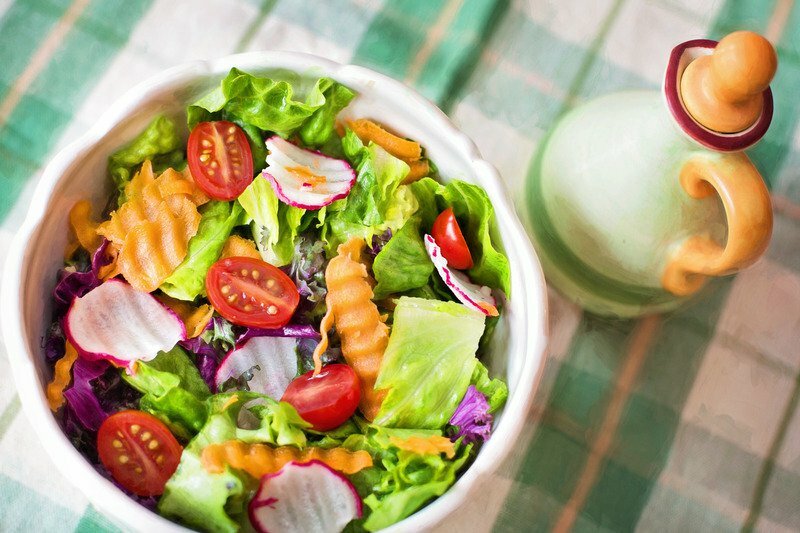 B9 is found in spinach, green vegetables, beans, asparagus, melon, beans, lemons, yeast, and mushrooms. Vitamin D is absorbed from sunlight exposure, so winter can pose the threat of deficiency. Besides fortified milk and breakfast cereals, herring, oysters, steelhead trout, salmon, fish oil and soy products are rich in D and can be supplemented when sunlight is at a minimum. Minerals vital to the healthy functioning of the nervous system include magnesium, zinc, and iron for postpartum women. Magnesium is available in whole grains, leafy green vegetables, nuts, beans, avocados, soybeans, and halibut. Foods highest in iron include beef, chicken, and pork liver, as well as mussels and oysters. Zinc is found in beef, lamb and veal, eggs, cooked oysters, legumes (beans and peas), pumpkin seeds, whole grains, and nuts. Foods highest in iron include beef, chicken, and pork liver and shellfish such as oysters, mussels, and clams. 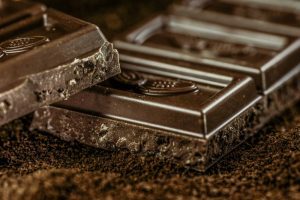 The chemical compounds in dark chocolate (as opposed to milk chocolate), can promote positive mood by raising serotonin and endorphin levels in the brain. Serotonin is a neurotransmitter that comes from the amino acid tryptophan, and involved in sleep, memory, and mood regulation. Endorphins are compounds of amino acids that act like opiates in the body, calming and lifting the mood. According to Jack Challem’s book The Food-Mood Solution, certain herbs are beneficial in battling depression, stress, anxiety, and premenstrual syndrome. These include Ginkgo, Ginseng, Spanish Sage, Rhodiola, and St. John’s Wort and can often be found in bottled supplements. To enhance mood, support healthy brain function, and keep depression at bay, select foods that contain the fatty acids, vitamins, and minerals cited. Many foods contain more than one; lamb, for example, is a good source of both B12 and zinc. Research is made easy at Nutritiondata, which provides nutrition facts with an analysis for every food imaginable. The fact is “you are what you eat” is true at even the biochemical level. And this, in the end, is good news.